In the spirit of solidarity, I have been involved in numerous projects that help protect our environment by utilizing sustainable practices. Whether it be a camp design, a watershed study, or a gray infrastructure design, using best management practices and working with our landscape architects to preserve or enhance the environment has been an exciting addition to my 30-year career as a professional civil engineer. Environmental Design Group has the unique ability to combine gray and green infrastructure internally because of the diversity of our engineering and landscape architectural staff. Recently, Environmental Design Group worked on a project for the Crown Point Ecology Center located in Bath, Ohio. 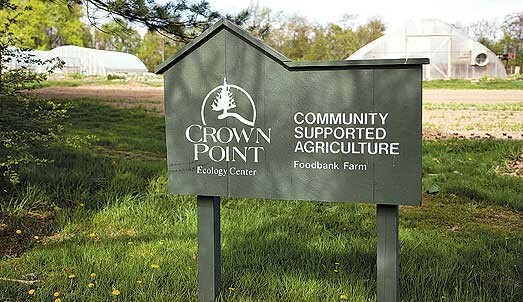 The mission of Crown Point is to demonstrate the practical applications of ecology and to connect spirituality, social justice and environmental protection. As a nonprofit organization, they rely on many volunteers and the financial support from benefactors. As part of their master plan which included the expansion and construction of buildings, they needed to also expand their wastewater treatment system. With new meeting rooms and restroom facilities slated to be built, and the conversion of an existing farmhouse to a meeting facility, there were some challenges EDG needed to help Crown Point overcome. The first problem was providing an adequate wastewater disposal system for the increased use by students and visitors. In addition, providing restroom facilities in the renovated barn for large group events was a necessity. Sanitary sewer services were not available in the area because there was a restriction on providing a conventional wastewater treatment plant discharging to a local waterway. EDG designed an innovative, sustainable, on lot discharging system, which was closely tied to the Crown Point mission of sustainable practices. Our project team of engineers and landscape architects spent some time thinking outside the box and collaborating with the Ohio EPA to develop a wastewater treatment system that would work efficiently and be acceptable to the regulating agencies. 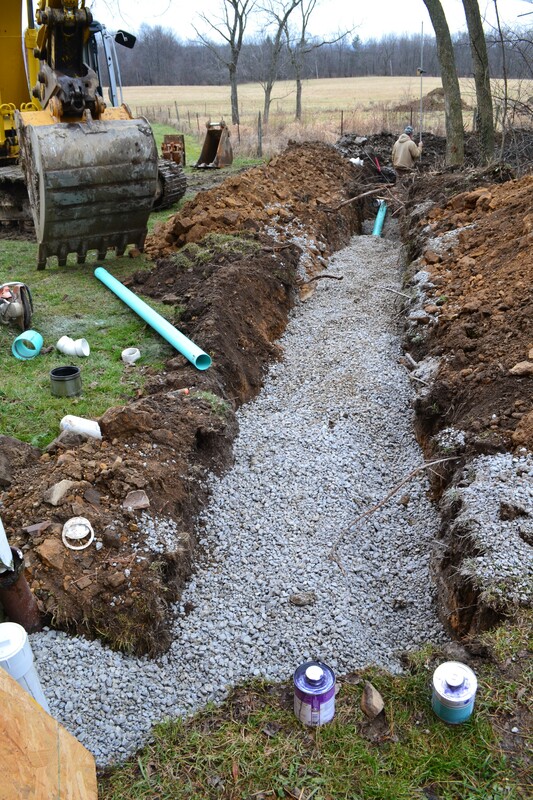 With a goal to make the system as passive as possible and keeping to Crown Point’s mission, EDG determined the maximum allowable flow, and was able to design an acceptable system using two 5000 gallon septic tanks, two constructed wetland cells, and a large mounded leach field. No electricity, heavy management or complex components were included to ensure the mission of Crown Point was reinforced. 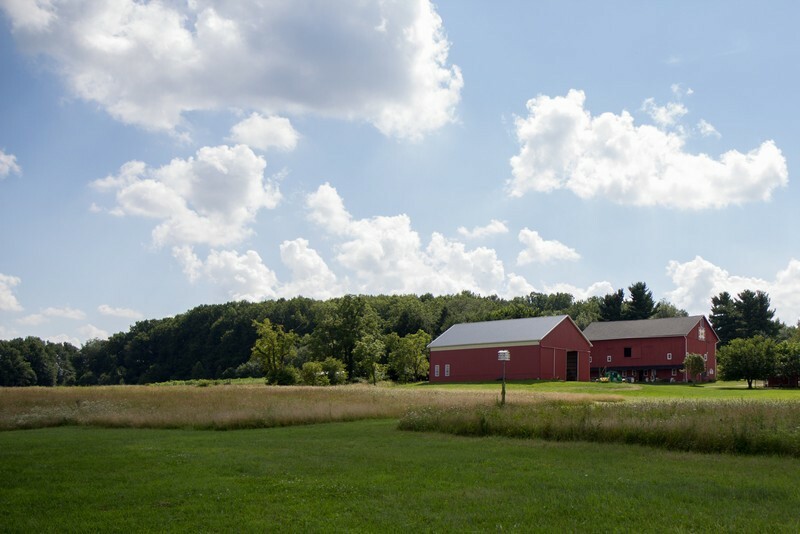 We were fortunate to find enough usable land downstream from the existing septic system to make the new system work for their needs, and new gravity sewer lines were installed to the farmhouse and barn. The Second problem was providing food service for the students and visitors to the center. Since the on-site system would not be permitted to handle food waste, the decision was made to cater all meals. 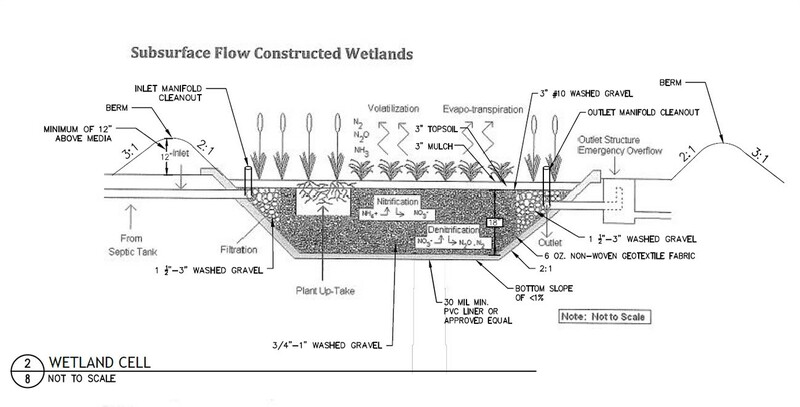 This direction enabled us to proceed with the design of an on-site wastewater treatment system. The third problem was obtaining funding for designing and building the infrastructure. For the detailed design, EDG provided pro-bono engineering services, and the Crown Point executive staff obtained an educational grant for the construction work. However, the detailed design had to be completed quickly so that the construction bids could be obtained before the grant expired. Time was of the essence and the project team stepped up their design efforts to expedite regulatory approvals and to prepare construction documents. Underground infrastructure is a crucial piece to the long term success of any major construction project. By creating a better system for Crown Point to further their education outreach, EDG helped make a lasting impact for a non-profit to continue to change the lives of those that utilize the ecology center for health and wellness. For me, the most inspiring part of this was experiencing the network of teams and agencies to make the project come to life. The impact this will have on future generations makes it worthwhile, especially as they learn to protect and sustain our environment. In a collaborative effort, we were successful, and a system was installed and is fully operational today! Many thanks to all who participated in this worthy cause!